This simple pasta dish is not only striking, but delicious, too. 1. Mix together the flour, salt and charcoal in a large bowl and stir in the water. Bring the mixture together with your hands and knead briefly for a few minutes. Cover with a tea towel and leave to rest at room temperature for 15 minutes. 2. Melt 1 tablespoon of the dairy-free butter in a pan and add the sweet potato cubes, thyme and the garlic. Season well and fry for 5 minutes, or until beginning to soften. 3. Add the bouillon to the pan and add water to just cover. Bring to a simmer and cook for 15 minutes, or until completely tender. 4. Drain the sweet potatoes and add 1 tablespoon dairy-free butter and some black pepper. Mash until very smooth. 5. Using a pasta machine or rolling pin, roll out dough as thinly as possible and cut into 2 long strips. Place small spoonfuls of sweet potato at even intervals on one of the strips and place the other on top. 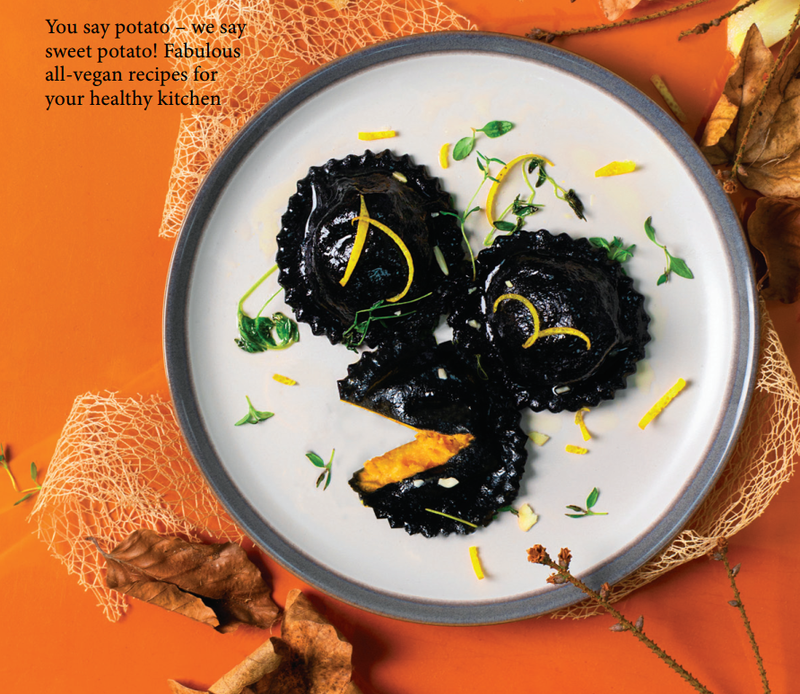 Seal each ravioli well with your fingers and cut to shape. 6. Bring a large pan of salted water to a rolling boil and gently add the ravioli. Simmer for 3 minutes before removing with a slotted spoon. 7. Toss with the remaining tablespoon dairy-free butter and season with salt and pepper to taste. Add a little extra fresh thyme. Serve immediately. 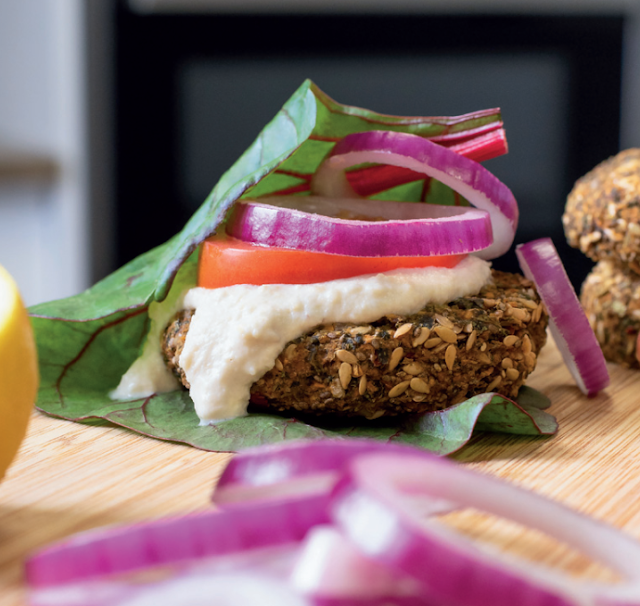 These hearty burgers are super healthy and very satisfying. Serve in chard or other leafy greens, with sliced tomatoes, onions, pickles and a dollop of cashew mayo. 1. Combine all the ingredients in a food processor and pulse until finely chopped. 2. Using wet hands, shape the mixture into 4 equal patties and place them on a dehydrator rack. 3. Dehydrate for 5-7 hours, or until firm. 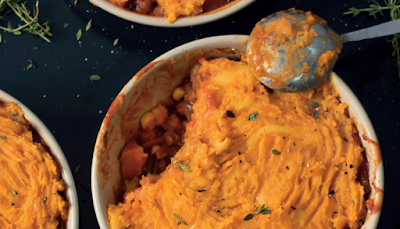 Shepherds pie is a comforting classic, and this version is no exception. 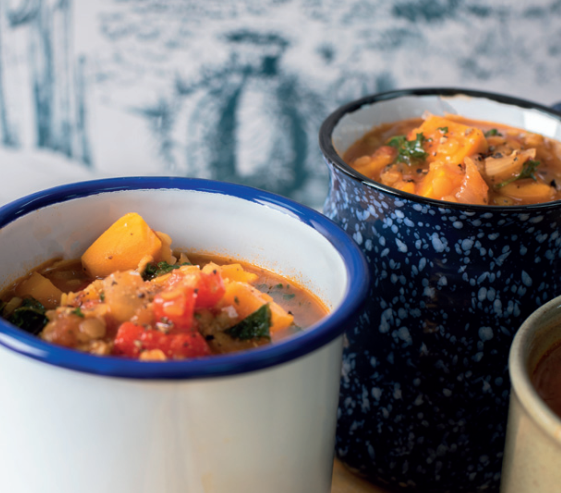 Full of nutritious ingredients such as lentils and sweet potato, it is a healthier version of a classic warming dish. 1. Preheat oven to 190˚C/375 ˚ F/Gas 5. 2. Heat the olive oil in a frying pan, then fry the onion until soft. 3. Add the garlic, celery, carrots and most of the 2 tbsp chopped thyme reserving a sprinkling for later. 4. Pour in the water and the chopped tomatoes, then crumble in 2 vegetable stock cubes followed by the smoked paprika and simmer for 10 mins. 5. Tip in the lentils, marmite, tomato puree, sweetcorn and sugar (if the tomatoes are too acidic), then cover and simmer for another 10 mins until the carrots still have a bit of bite and the lentils are pulpy. 6. Meanwhile, boil 950g sweet potatoes, cut into chunks, for 15 mins until tender, drain well, then mash with the vegan butter, nutritional yeast, grated cheese, plant-based milk and season to taste. 7. 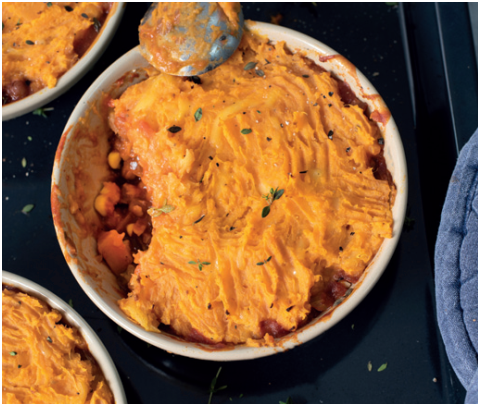 Pile the lentil mixture into a pie dish, spoon the mash on top and spread it around the top of the filling with a fork. 8. Cook the pie for 20 mins if cooking straightaway, or for 40 mins from chilled (see om tip), until golden and hot all the way through. Serve with vegetables of choice – broccoli would go really well with this dish. Once assembled and before it is cooked, the pie can be covered and chilled for 2 days, or frozen for up to a month. 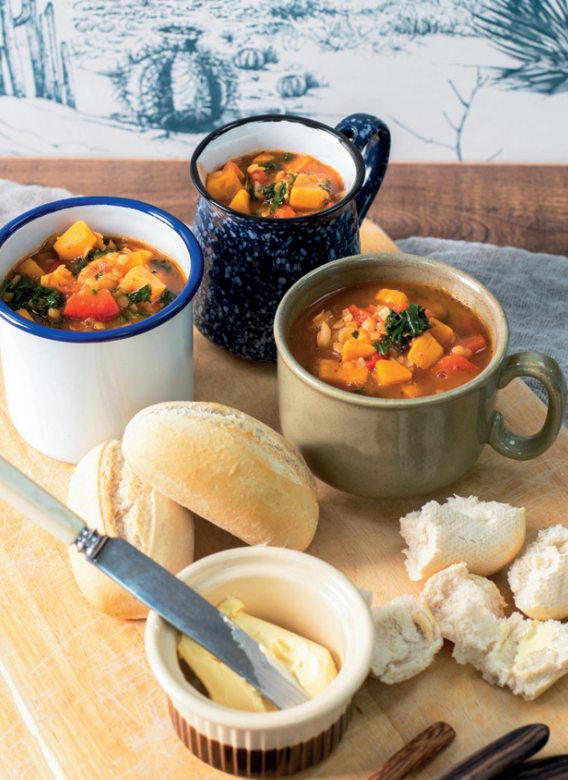 This warming and hearty soup is jam packed with nutrients. Whip up a batch at the start of the week to have on hand whenever you need a speedy meal. 1. Preheat grill to medium. Halve the red pepper and remove the seeds. Place under the grill, skin side up and cook until the flesh is soft and the skin blistered and blackened. Remove from the grill and set aside. 2. Heat the oil in a large pan and add the onions with a pinch of salt. Cook until beginning to soften before adding the garlic, sweet potato and carrots. Continue to cook, stirring, for a few more minutes. 3. Peel the blackened skin from the pepper, and roughly chop the flesh before adding it to the pan. Add the remaining ingredients, except the kale, to the pan and mix to combine. Bring to a simmer and cook for 15 minutes, or until the lentils and carrots are tender. 4. Add the kale to the pan and add a little extra water if a thinner soup is preferred. Cook for 5 minutes. 5. Taste to check the seasoning and adjust if necessary. Serve hot, with crust bread for dipping.